Land-based gambling is legal in Greece, while playing at online casinos it’s a bit more complicated. In this article, we will cover current gambling laws within the country, so real money players can better understand the legislation in place and choose a secure Internet casino. 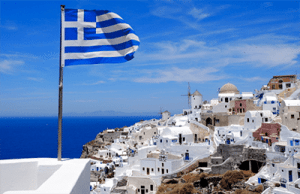 Greece has plan to liberalise online gambling. Greece is located in the south eastern region of Europe and is known officially as the Hellanic Republic. There’s a population of around 11 million, with around 3.75 million located in the country’s capital of Athens. Greece is a founding member of the United Nations as well as a member of the European Union. Land-based gambling in Greece is legal, provided it is operated within casino spaces and not public areas. There’s around nine land-based casinos and these are regulated by the Royal Decree 29/1971, Law 2206/1994, and Law 4002/2011. The lotteries and sports betting are run by the OPAP – up until 2020. Online gambling in Greece is a different story with the issue causing controversy for quite some time. Greece was accused of violating EU laws multiple times in the last 10 years due to a number of online gambling sites in operation. While this has since been resolved, the Greek government announced online gambling would be regulated and in January 2016 it said it would be issuing online gambling licenses. As of 2017, this still hasn’t occurred and OPAP still has control over online gambling. Occasionally foreign online casinos have been blocked by the OPAP, but since the announcement of online gambling being liberalised, some sites have started to accept players from Greece. Some of our recommended online casinos still don’t accept Greek players, but eventually they will if Greece goes ahead with their online gambling liberalising plans. But many of them do and you can find a huge range of casino games to play in EUR. G’day: It gets quite chilly in Greece when winter comes around, so a trip to the other side of the hemisphere will warm you up. Save your money and keep yourself entertained while heading Down Under at G’day online casino. There’s a live dealer catalogue by Net Entertainment and Ezugi, where you will find live blackjack, live roulette and live baccarat to play from the comfort of your home. House of Jack: This online casino is ideal for Greek players, as those who play in Euros benefit the most as all terms and conditions are outlined in the currency. Be sure to read these for each promotion – there’s plenty on offer including welcome bonuses, daily free spins, and more. Opt in for the free spins for specified slots as there’s no wagering requirements attached. Roxy Palace: Explore Greek mythology at this online casino set up in a palace only Greek’s temples could challenge. Powered by Microgaming you will find a huge range of blackjack, roulette, craps and more. We recommend playing Thunderstruck II if you’re a slots fan though – one of the most popular titles on the web where you can win big and it features a Greek mythology theme. Greek players can gamble on keno at Karamba. 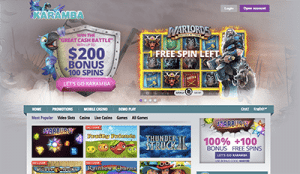 Karamba: Keno is incredibly popular in Greece, with OPAP attributing a large percentage of their profits from the game. You can find a huge number of keno variants from the traditional kind to more unique options – there’s a bingo game mixed with keno rules available too. Follow the links to one of the online casinos above, and register your details to open an account. It doesn’t take long and each site is encrypted with the latest online security technology to ensure the player’s information is protected. Select your location as Greece and your currency as EUR and you will be able to get playing with real money. 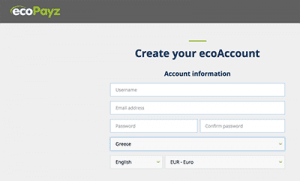 EcoPayz web wallet accepts users from Greece. Visa and MasterCard credit and debit cards – enter the card details, the CVV and the expiry date with your name to complete the transaction. Neteller, Skrill, EcoPayz, or Euteller – visit the website and create a web wallet. Fund it via a bank transfer, prepaid method, credit card deposit or other payment method and use the account information to make a deposit at an online casino. Flexepin is a prepaid voucher, Paysafecard – prepaid methods offer anonymity and you can use the voucher or card system to enter the details to make a deposit.